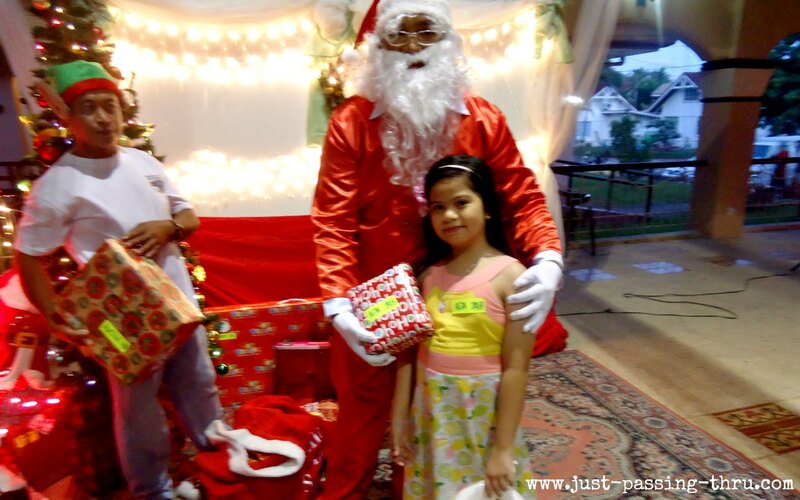 Believing in the existence of Santa Claus is a practice that is generally encouraged by parents in their children. Santa Claus or Santa is a legendary and historical figure that originated from the folklore of the western world. According to tradition, he goes around the world during Christmas Eve, giving gifts to children who have been good during the year. Santa Claus' most common depiction is that of a portly white bearded-man wearing a red suit, spreading holidays cheers wherever he went through his signature " Ho Ho Ho". The present representation of Santa has actually gone through several modifications as several cultures added their own interpretations to the much-loved Christmas figure. The caricature of Thomas Nast and the poem " A Visit From St. Nicholas" in 1823 were largely responsible for Santa's present physical depiction as it was reinforced through time in children's books, TV, films, radio, and songs. The present Santa is believed to be a product of several personalities including Saint Nicholas of Myra, a bishop who was famous for giving genererous gifts to the poor; Odin, the Norse god who sported a white beard and visited his people with gifts; and Sinterklaas, an elderly and serious white-bearded man from Dutch folklore who distributed gifts to children based on a book that lists children who have been good. In time, Odin also became known as Father Christmas and eventually merged with Saint Nicholas and Sinterklaas, which produced the familiar picture we now hold of Santa Claus. 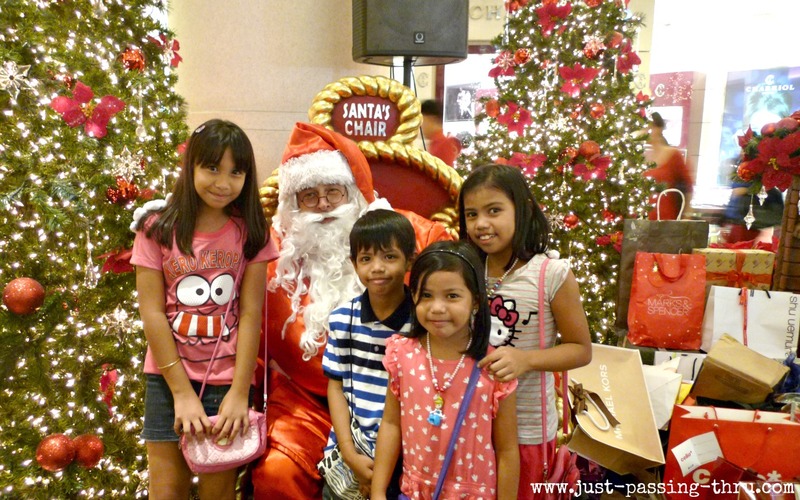 Introducing children to the belief in Santa Claus is largely seen as a positive approach for encouraging children to be good the whole year in anticipation of the much-awaited visit on Christmas Eve. Although parents who are mainly responsible for making the Santa experience possible for their children are not being fully straightforward with the facts surrounding Santa Claus, these efforts are being done to reinforce the magic that surrounds the famous Christmas icon. Writing letters to Santa is a practice observed by many children all over the world. Although these letters will be addressed to Santa's place in the North Pole, it will be the various postal services in different countries who will take charge of answering these letters, either through physical mail or email The big number of volunteers who are willing to do this monumental task is quite overwhelming and shows how many are willing to provide the children the joy of continuously believing in Santa Claus. Most adults are willing to concede that Santa Claus is more of a mythical figure. This fact however has not discouraged many, including myself, from propagating this belief in children. I am not wont to connect this practice to any politically correct belief and rather intend to use it in instilling hope in my children that there is always something positive to look forward to. In time, they will discover the "truth" for themselves and I expect them to easily transcend from the childhood understanding of Santa Claus into the real world of adulthood. My twelve-year old son now more or less understands the real score about Santa but he indulges his younger sister so as not to deprive her of the joys he has experienced in believing in Santa Claus. That said, I still have several years to do what I have to do to support my youngest child's belief in the existence of Santa Claus but I feel it may be shorter since she is starting to question the discrepancies and yet she continues to believe. There lies the magic of Christmas! Christmas is primarily about the birth of Jesus but in human context, we can say that Christmas is mainly about family. It is a time when family members who are away go to great lengths to be back home. It is a time when anxiety and worries are temporarily set aside to welcome the joy that the season brings. Do you know that many people suffer extreme anxiety during the Christmas season? Aside from the usual causes brought about by expenses, the feeling of being away from family becomes even more pronounced during this time. The pent-up feelings of separation, whether by choice or by force can be very difficult to face, especially when everybody else are with their own families. It is much easier to hide from these feelings during ordinary times because there are less expectations. In a season steeped with family tradition, there are inner yearnings for family togetherness that cannot be denied. These feelings do not exempt those that have chosen to severe ties with their own family for whatever reason. When one creates a collection of memories, Christmas celebrations with the family inevitably form part of this collection. Anything related to family tradition usually do but it is Christmas or its equivalent in other regions that typically makes the mark in the minds especially of children who are still piling up their own memories to last them a lifetime. Parents therefore are enjoined to do their part by instilling good values and creating an environment that is physically, socially, emotionally, and psychologically healthy. Future generations are products of the past and the now. This is not to say that a bleak past will dictate a bleak future. We have the power of now to create the change that will make the difference. My family has had its share of good Christmases and not-so-good ones. The good ones fill me with much warmth when I remember them while the not-so-good ones fill me with a sense of triumph for having gone through them alive and stronger. That said, I am thankful for this day spent with my family. It will be one of the most cherished memories I will hold in my heart and I hope that my children feel the same way. Thank God for my family, Thank God for another Christmas with my family! When I first heard about the news of the Connecticut School Shooting, I felt a chill in my spine as I realized once again that we cannot fully protect our children at all times and at all instances. I felt a dreadful sense of helplessness in not being able to tell my kids what to do when they asked me what they should do when faced with the same situation. I opened my mouth once, twice, thrice, trying to come up with wise words to say to them but then closed it at every try for there were no words that will suffice. Everyday when parents bring their children to school, it will always be in anticipation of seeing them again when fetching time comes. When we bid goodbye to them in the morning, it is meant to be more of a "see-you-later" kind of thing. School mornings will be accompanied by endless reminders to take care and study well. Every parent's worst fear is to have his or her child exposed to danger. The fear is doubled when such danger presents itself and the parents are nowhere near to defend them. No parent would like to receive a call that will relay a tragic message that the child brought to school in the morning has been shot dead by a gunman who had no personal motive or reason to kill the child. The tragic thing about this kind of incident is that it can happen anywhere. There is no place that is absolutely safe from danger including our homes. In this blog, I would often come up with articles that would be about taking care and protecting our children. This incident however, defies logic. The children are supposed to be in a safe place with responsible adults looking after them and yet the danger came barging in without warning. How do we parents defend our children from such threat? Do we confine our children in our homes for the rest of their young lives? Do we make them part of our paranoia and scare them from interacting with other people? Do we stay by their side at all times? Of course, we don't. For when we do these we might as well have taken their life from them. Living in fear is not living. It is in fact, a sorry excuse for living. That said, I wouldn't want to experience the immense grief that the parents of the killed children are going through at this time. The most tragic part of this incident is the fact that it is not clear what motivated the gunman to do what he did on these innocent lives. Is this a mental health issue or an issue about owning guns? Whatever it is, may we find the solution early enough to prevent a repeat. In times of great uncertainty I turn to God for the safety of my children most especially in situations where humans have no control of. Our children's friends will at some point have more influence over them than us parents. Parents generally have more control when children are at home but once they are outside, we can only hope that they are being pulled by good influence. This is the reason why knowing our children's friends would be best for the parents' sanity and the children's stability. So goes the popular saying about judging what kind of friends a person may have. There is actually some truth into this since people tend to be influenced to a large degree by their friends especially during the formative stage where some values have not been fully established. Humans are naturally attracted to form friendships and alliances with like-minded people. People who spend considerable time together as friends do tend to develop the same mindset, behavior, and activities. This is the reason why many claim that a person can be judged according to how friends behave. It really wouldn't be such a concern if "bad influence" is not a cause of concern. Friends can either be good or bad influence especially on children. Even adults who are expected to have developed solid-rock values can be swayed by friends to go the other way if they are not strong enough. Children who are more susceptible to peer pressure face the risk of being influenced the wrong way. In societal standard, the good influencers are those who do not go against the accepted norms while the bad influencers do the exact opposite. Parents understandably do not want these bad influencers anywhere near their children but sometimes there is something more that meets the eye in making judgments. Branding someone as a good or bad influence carries a responsibility in relation to the future of the one being branded. One of the most positive things any parent can do for a child is to exert effort to get to know his or her friends. Getting to know and being nosy of personal affairs are two different things. The emphasis should be in forming positive relationships between parents, children and their friends based on respect and trust. Knowing a child's friend goes beyond the name because it usually extends to knowing the friend's family. This is usually achieved by attending events or activities that require the presence of parents and the family. It would be much better if parents can create an inviting home that encourages friends to visit and stay for activities instead of constantly spending time outside the home where activities of the children can hardly be monitored. Parents need to remember that their children need to be given space in the development of their friendships. What is important is that children know that their parents care for them enough to get to know their friends more. I will not be a hypocrite and say that I do not fear that my children will encounter people who will not lead them to the right path especially during the stage where children will tend to listen more to their friends than their parents. That is why I consider it my first line of defense to know my children's friends. My style of knowing is not disruptive nor nosy as I try to speak with them as if we were just exchanging stories. I tend to observe more rather than talk and then speak to my child if I think there are serious concerns that have to be addressed with their friends. That said, I leave it to them to choose their friends but my eyes and ears remain open for danger signs before I open my mouth to intervene. Knowing our children's friends is one of the positive approaches to parenting. The road to sainthood is not an easy one. 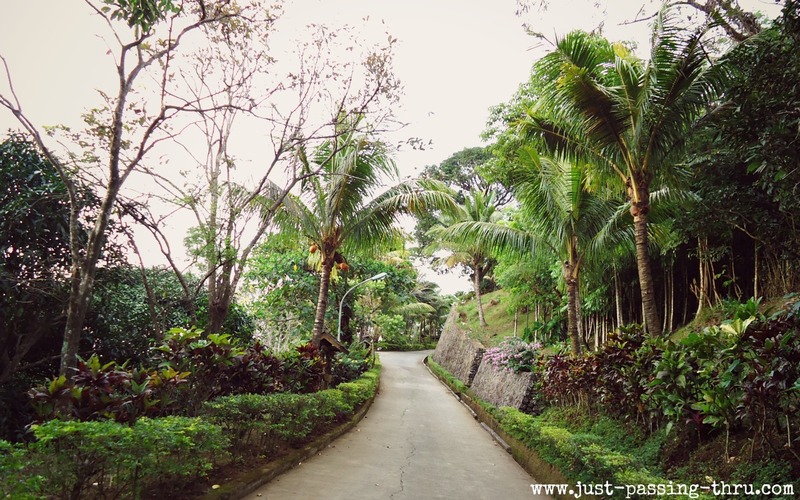 It is a road that is beset with trials and challenges. In the Catholic religion, believers are taught to emulate the actions of saints as one way of leading a holy life close to God or at least a semblance of it. 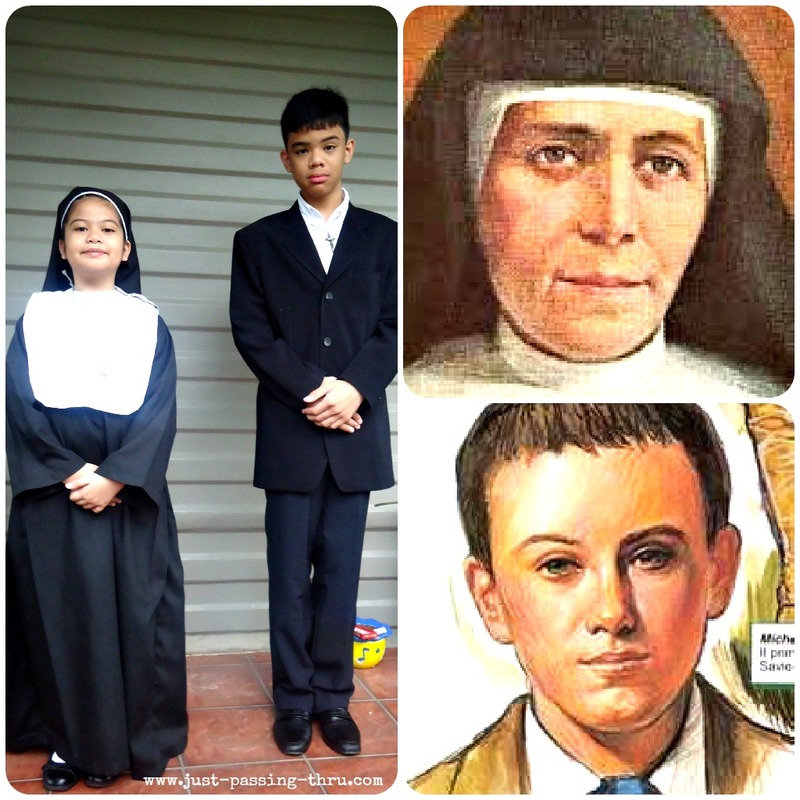 When I received the notice from my children's advisers that both of my children were chosen to be part of their school's Look Like a Saint event, I took it as a blessing. More than the pride of having children who appeared to pass off a "saintly" look in the view of other people, I felt we were given the golden opportunity to study the lives of people who have successfully made it to sainthood without having to force my children. With their excitement in being part of the program, the study part was almost effortless. The Francis Besucco and Saint Mary Mazzarello persona adopted by my son and daughter respectively, for a few hours were indeed revelations. The Salesians of Don Bosco is a Roman Catholic religious institute established by Saint John Bosco (Don Bosco) in the later part of the 19th century. It used to be known as the Society of Saint Francis de Sales. The foundation of its operation is based on works of charity and was originally conceived to serve young children of the industrial revolution who were poor. 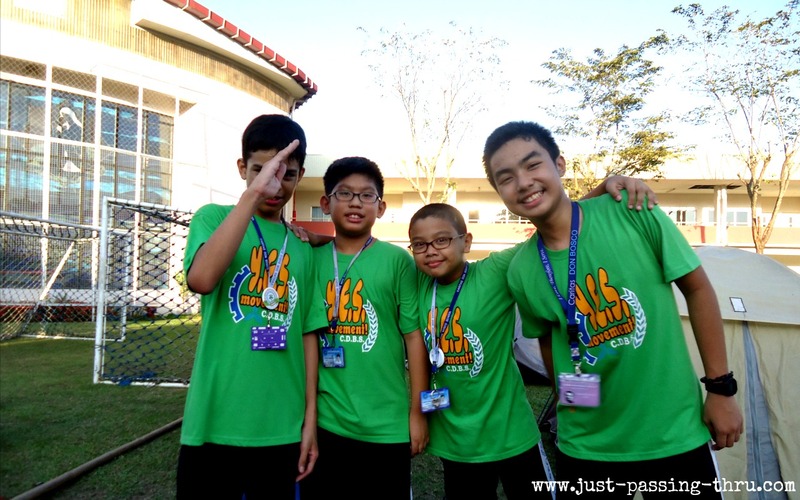 The Salesians established its presence in many countries all over the world including the Philippines where it made its mark in the educational system through Don Bosco schools. All Salesian schools follow a system of education that is based on the Preventive System. This simply means helping the youth before they even get into trouble. It has to be remembered that Salesians started their work focusing on marginalized young men and women who had the most potential of losing their way. The order promotes strict order and discipline without the use of physical punishment. It goes about serving its wards and students with loving kindness, reason, and religion. The Salesian school system is characterized by an active involvement of the family thus the great support for Parents' Associations in relation to its role of molding the students. If there is any legacy that Saint John Bosco has left behind for the world to benefit from, it is the inspiration to strive for holiness in whatever situation a person is in. Many of his society's followers have been recognized by the Church either as Saints, Blessed, Venerable, or Servants of God. Two of which are the above mentioned Saint Mary Mazarello and Francis Besucco. Sainthood is often seen as an impossible goal for many. In fact, all of those who have been recognized as such did not pursue sainthood as a goal. Their proclamation was a result of the endless pursuit of holiness and service to others. Saint John Bosco's motto was : "Give me souls, take away the rest". He also advises the youth to " Run, jump, and shout but do not sin". My children's school also constantly reminds students of the importance of service to others through their motto " I love therefore, I serve". These words contain simple truths and nothing extraordinarily difficult to understand. However, application to everyday life may be more difficult. Here lies the challenge of bringing up children who may not become saints but will be models to look up to in society. It is not my goal to raise children who will become saints but it is my intention to bring up my children to become members of society who can readily empathize with the plight of all people in various levels. Genuine service to others is often forgotten in this highly materialistic world we are now in. Parents should endeavor to teach their children the value of appreciating people more for who they are. That said, it will always be a personal struggle to do right for all of us but this should not stop us from trying. The way offered by the Salesians of Don Bosco is just one of the many which people can follow not necessarily to travel the road to sainthood but rather to become a good human being. Once upon a time, there were three Christmas trees and they were all connected to an Overseas Filpino Worker (OFW). 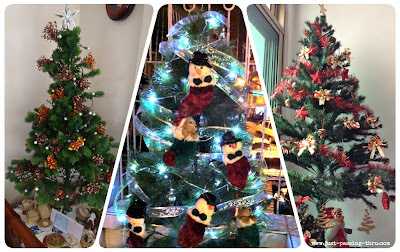 The first one is the smallest but the oldest and was the Christmas tree that saw her childhood and growing up years and it was placed in the house of her parents. 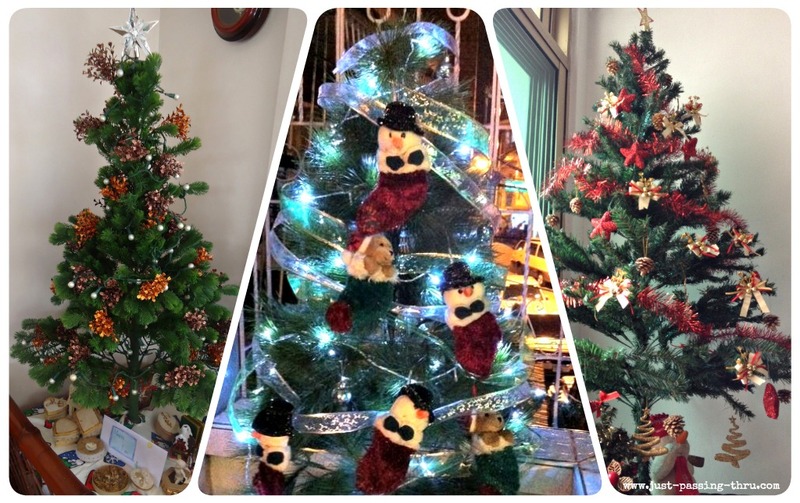 The second is the Christmas tree placed at her home in the Philippines since she already has her own family now. The third one is the one found in her home in another country shared with other OFWs. Now being located in different places, they never saw each other. The only connection they had with each other is the OFW. They will hear snitches of her life even when they are placed in their boxes for about 11 months in a year and 1 month outside during the Christmas season. The first Christmas tree knew that the mother of the OFW did not want her to leave the country. 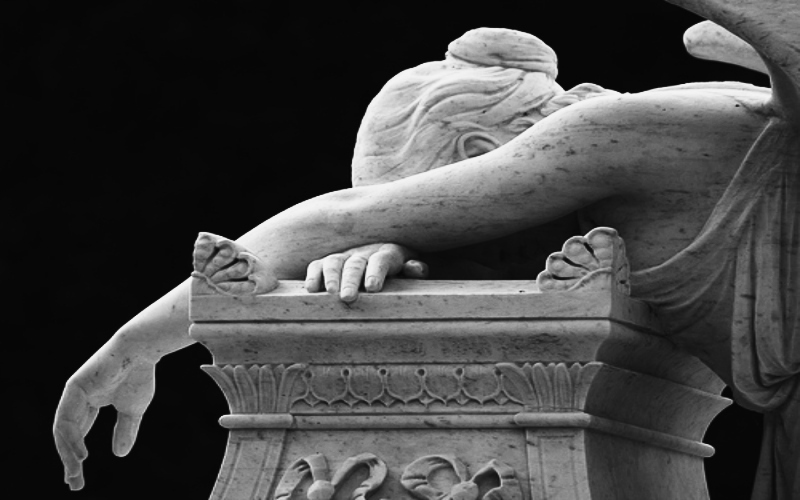 It would hear her anguished cries for her daughter who was so far away. 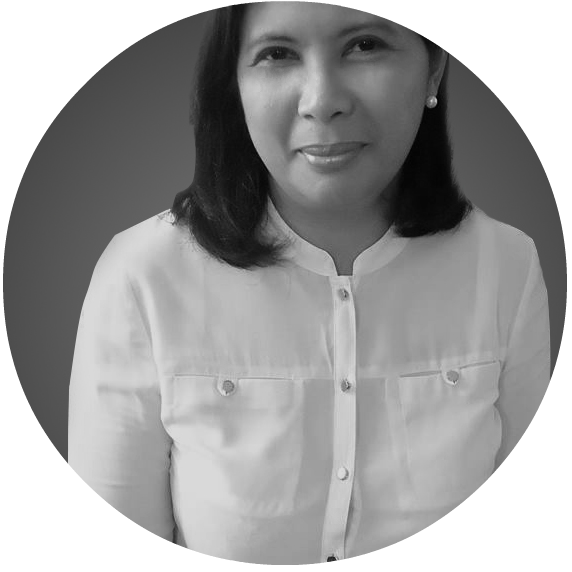 The cries would be so bad whenever her daughter encountered problems in her workplace and family life. She would always pray for her safety and guidance. The second Christmas tree heard the cries of loneliness of the OFW's family, longing for the comfort that only a wife and mother can give. It would know that it would be its time to go out with the excited chatter of the children that their mother is coming home for Christmas. Time and again, it would witness the happiness of the arrival and the loneliness of leaving. The third Christmas tree saw the sorrow of a mother separated from her family made necessary by economic reasons. It saw the OFW's determination to make good in another country even if faced with simultaneous obstacles of discrimination, financial lack, and health problems. If only it could talk in human form, it would have said words of comfort and support to the OFW especially in her lowest moments. 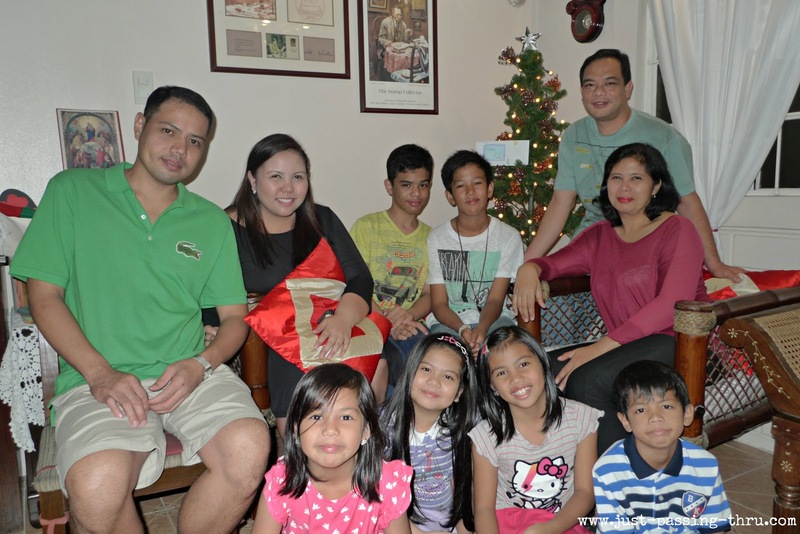 Without having the chance to talk to each other, the three Christmas trees happened to think of wishing to their Mother Christmas Tree to help the OFW. They all wished that she would get her deepest desire to be with her family permanently with the capacity to provide for her family's needs without going away. Because all three have been good Christmas trees, the Mother Christmas tree granted their wishes and the OFW was finally happy. That said, I have written this for a person very close to my heart and fervently hope that this Christmas, with the infinite mercy of God, her wish will finally be granted. Here's hoping that her OFW story will end happy with the achievement of the goals she has set from the beginning.